Courtesy of Shams Charania Loyola alum Shams Charania (right) is one of the top NBA news breakers and worked alongside Jeff Hagedorn and Jerry Harkness to call Loyola's Final Four loss to Michigan March 31. Shams Charania is known for breaking NBA news for Yahoo! Sports. Everything from trades to free-agent signings to coach firings, Charania and ESPN reporter Adrian Wojnarowski are the two names fans turn to for breaking news about their favorite teams. One little-known fact about Charania is he’s a proud graduate of Loyola. Charania, 24, walked across the stage in 2017 with a degree in communications. He rose to fame in 2015 when he joined Yahoo! Sports to cover the NBA alongside Wojnarowski after covering the NBA for RealGM. He said without his time at RealGM, he wouldn’t be in the position he’s in today with Yahoo. 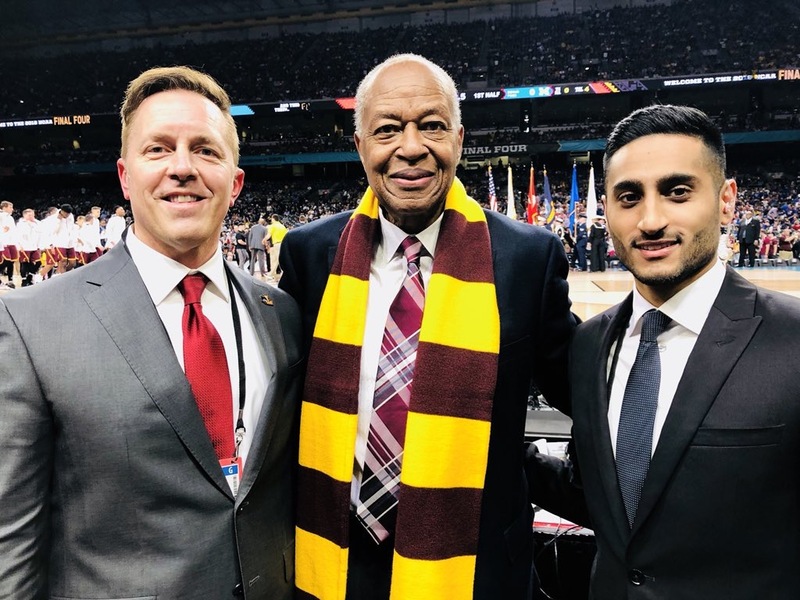 During Loyola’s Final Four loss to the University of Michigan March 31, Charania worked as the sideline reporter for TruTV’s TeamCast, a broadcast tailored to Loyola fans, alongside play-by-play announcer Jeff Hagedorn and 1963 Loyola men’s basketball team captain Jerry Harkness. While he didn’t follow Loyola basketball too closely — only making it to an estimated five games over his four years — he said the team’s success this season was special to him because he was in class with some of the players, including Donte Ingram. In classes, sometimes with Ingram, Charania would have to break news on Twitter. 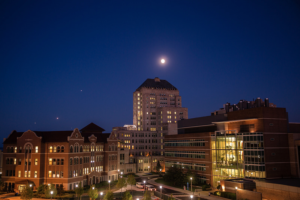 When something needed his attention, he said he’d simply step out for as long as he needed, sometimes to his professor’s dismay. Since graduation, Charania said his job has changed a bit since he doesn’t have to worry about being in class when he gets a scoop. While at Loyola, Charania kept a low profile. Not many people would realize they were sitting next to one of the top NBA news breakers on the intercampus shuttles. He said he didn’t know how he stayed under the radar, but he said commuting might have made it easier. One piece of advice Charania said he’d give to a young journalist is to write as much as possible. He said if he hadn’t started writing for the Bulls blog, he wouldn’t have gotten where he is today.